Did you know kudzu was in bloom? No you didn’t? Well, I probably wouldn’t either, but our neighbor must be such a fan of the kudzu flowers that he’s dedicated his whole back yard to growing it. You see the red spot in the photo below? That’s a convertible car. I think he uses it as an accent statue piece to grow his kudzu around. 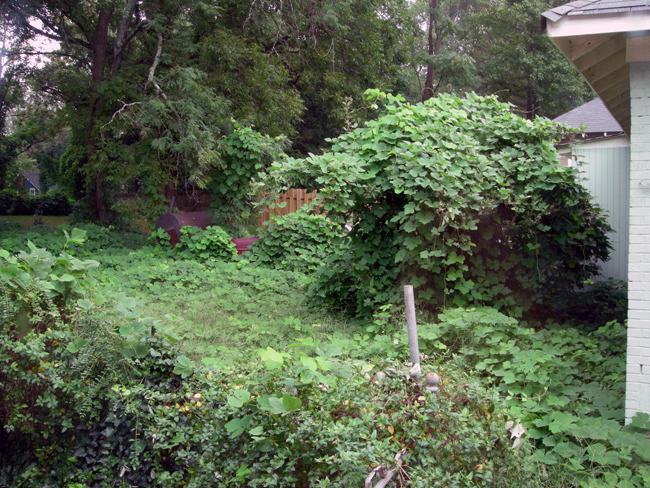 Overgrown kudzu backyard – can you spot the car? And this is a pretty kudzu flower I picked from the kudzu attempting to engulf our fence. Didn’t know what kudzu flowers looked like? Well, now you do. 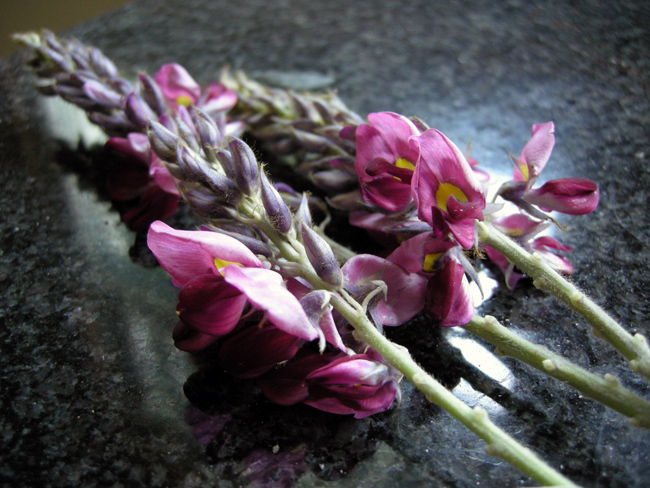 They’re pretty purple flowers that smell sweet like honey. Kudzu was introduced to the United States in 1876 at the Centennial Exposition in Philadelphia, Pennsylvania. Countries were invited to build exhibits to celebrate the 100th birthday of the U.S. The Japanese government constructed a beautiful garden filled with plants from their country. The large leaves and sweet-smelling blooms of kudzu captured the imagination of American gardeners who used the plant for ornamental purposes. During the Great Depression of the 1930s, the Soil Conservation Service promoted kudzu for erosion control. Hundreds of young men were given work planting kudzu through the Civilian Conservation Corps. Farmers were paid as much as eight dollars an acre as incentive to plant fields of the vines in the 1940s. 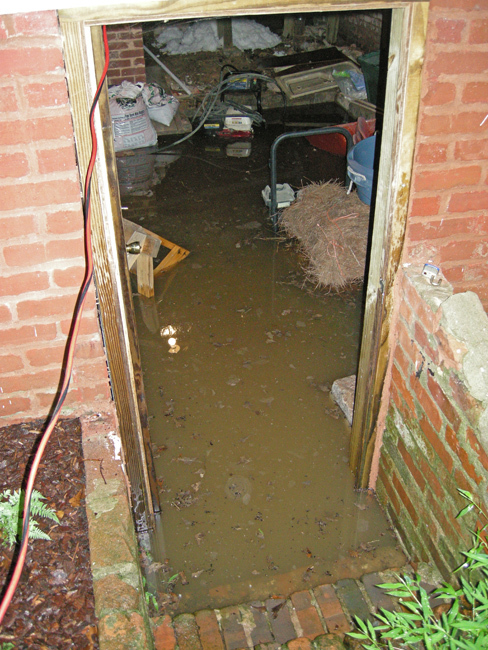 And with the torrential downpour we’ve had for the last 6 days the crawl space has flooded again. No wonder, considering Atlanta received 15 inches of rain in the last 24 hours! It makes the last flooding of 6 inches nearly seem harmless. Patrick walked through the water to move some items and we measured 22 inches of water!!! 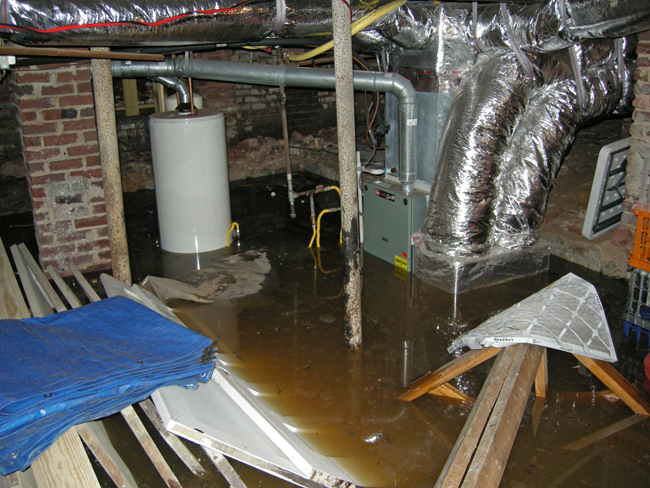 Needless to say our furnace and hot water heater are not working. We just have to keep our fingers crossed that once everything dries off both of them will turn back on.